Lesen Sie diese Seite in Deutsch. Germany: the land of the frankfurter, classy automobiles and a national football team with an uncanny ability to convert penalties. With a history of success in a vast array of sporting disciplines, it would make sense for the Germans to have an active interest in gambling. But does the saying ‘es ist wichtiger, wenn es Geld dafür’ (it matters more when there is money on it) ring true for the citizens of one of the European powerhouses? And which are the best German betting sites? Can I Bet Online In Germany? In a word, yes. With such an active betting population and the underlying support of the EU, unlicensed bookmakers are paying scant regard to German laws and regulations. Along with Sportsbook activity, Poker and Casino revenues are also a significant income generator and are offered by the major European firms. Below is a list of the main players (both licensed and unlicensed) who offer their services to German citizens. The country has produced some ‘homegrown’ talent in terms of German sportsbooks. 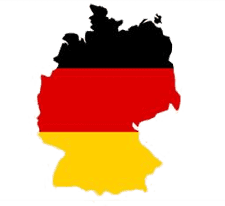 Their sites Bet3000 and Tipico are reputable and offer an extensive range of markets to both German citizens and others alike. Interestingly, they are both licensed in Malta and as such are not bound by German jurisdiction (although Tipico did get licensed in 2012 by Schleswig-Holstein). Most German sportsbooks offer sign-up bonuses and ongoing promotions to customers in order to attract punters and keep them coming back. Some of the best German betting sites are listed above and each of those will offers a welcome bonus to new customers. These free bets are always worth taking advantage of, but make sure you read the small print to find out what the ‘playthrough’ requirement is before you can withdraw bonus funds and winnings. For the websites which were licenced by Schleswig-Holstein, there is little cause for concern for customers, as everything is ‘legitimate’ and lawful. A range of Visas debit and credit cards, as well as Mastercard can be used. However, by far and away the most popular form of deposits to German betting sites amongst customers is bank wiring, which allows instant funding of accounts. ClickandBuy – originally launched in 2000 from Cologne, the company has since relocated headquarters to London, after the German gambling laws gave the owner cause for concern. Clickandbuy can be used on over 770 gambling sites worldwide, including big names such as Ladbrokes, 888Sport, and William Hill. CLICK2Pay – A Munich based firm with 888 websites to choose from. Their wallet can be used on sites such as William Hill, Betway and Pokerstars etc. The major international firms such as Paypal, Neteller and Skrill can also give German citizens the anonymity they desire when betting online at German betting sites. Some unlicensed sites such as Stan James accept debit and credit cards, but for those that are non UK issued, the funds have to be withdrawn via a bank transfer. Gambling has long been intertwined into German culture. The territory of Baden boasts claim to being the home of the world’s first legal casino, opened all the way back in 1765. Recent years have seen a restrictive government policy towards gambling, with extremely controlling legislation in place. Opposition from the EU and betting firms has been supported in the court of law, but the current climate is still somewhat cloudy. In 2010, the European Court of Justice made the judgement that the ‘Interstate Treaty’, brought to action in 2008, violated European law because it failed to establish consistent legislation (offline gambling allowed, but online gambling banned). The Act also contravened the European Union’s freedom of services and consequently, the court ordered a revision of the legislation. Effective from the 1st July 2012, the German betting market was partly liberalised. Private enterprises were able to apply for sports betting and lottery licences and the companies were also able to apply for a licence to operate online. The number of licenses was initially limited to twenty, with a 5% tax imposed on stakes. Online casinos games remained illegal under the revised act. Despite the more liberal sports betting regulations, common consensus was that the German authorities were protecting their state owned betting model, and making it extremely difficult for those foreign companies to obtain a licence. Despite having twenty available sports betting licences up for grabs since mid-2012, by January 2014, none of the applicants had met the stringent qualifications to legally operate in Germany. By 2016, the Court of Justice of the European Union declared the treaty of 2012 in violation of EU laws and principles for the free movement of services within the Union. A new Treaty was approved by Germany’s 16 states in March 2017 (due to come into force in January 2018), which increased the number of available licenses from twenty to forty. However, this new treaty also came under fire as it merely increased the number of licenses without fully opening up the German online gambling market. Since 2012, all sports betting in Germany has been subject to a 5% tax on stakes. This tax is applicable to all residents of Germany and anyone placing a bet within Germany. This move appeared further evidence of the German authorities’ attempts to deter people from gambling online, and having 5% of the betting stake deducted is certainly a negative, making turning a profit a much stiffer task. The bookmakers providing German sportsbooks have responded in different ways to the tax; Bwin have decided to absorb the tax themselves, thus allowing customers to bet normally. This has impacted on profit per bet, but has kept the popularity of the site high. Other firms such as Ladbrokes have taken the approach to only tax winning bets, with the companies covering the tax on losers, whilst Stan James do not tax German players at all (do not hold any license in Germany). Germany has an incredible rich sporting history, with football and horse racing being the main two betting sports in the country. Bayern Munich are currently flying the flag as one of the world’s premier football team, and there is significant betting interest in both the Bundesliga and further afield in the other elite leagues in Europe. The German Derby at Hamburg attracts top class equine fields on a yearly basis, and the German’s are so passionate about their sport that they have a German sportsbook specifically dedicated to horse racing. RaceBets is the official platform of the German racing authorities, with 40% of the company owned by German Racing, and the profits reinvested back into the industry. Other popular sports include ice hockey, basketball, and handball. The Deutsche Eishockey Liga is one of the premier ice hockey leagues outside of North America, boasting the highest number of overseas Canadian and US players. With average crowds of 4,300, the Basketball Bundesliga (BBL) is also gaining in popularity and is contested by 18 teams from across Germany. Handball has gained more exposure in recent years in Germany and was first contested at the 1936 Olympics in Berlin. Bookmaker Unibet provide markets on the handball Bundesliga and Bundesliga 2, as well as the cup competitions. With a population of over 80 million and a passion for gambling, the market is an attractive one for German betting sites. Unperturbed by the protectionist policies and attitudes adopted by the German authorities, European firms have made it extremely easy for German citizens to strike a bet, be it on Sports, Poker or in the Casino. With increasing pressure from the European Union for Germany to adopt a fairer approach to licencing, and the likely realisation by the policy makers that by allowing more businesses to operate in their country, tax revenue can increase, the future looks bright.